Chris Bavin meets the Bloomers from Prestatyn in Wales, who are determined to keep their coastal town on the tourist map and win gold again after five years of missing out. 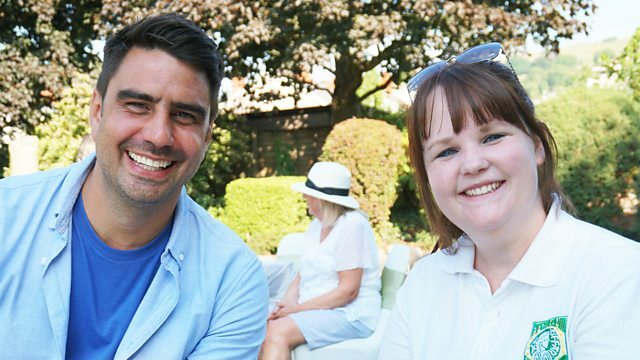 Chris Bavin travels to the Welsh coast to meet a group of Bloomers who want to keep Prestatyn in Denbighshire on the tourist map and win gold again after five years of missing out. Firstly, they are giving an old refuse tip a complete environmental overhaul by ripping out the weeds and creating raised beds to make it a more welcoming place. Next, a makeover for a recently decommissioned railway signal box, which was saved from demolition by the community. Finally, the Bloomers will convert a park at the top of the high street into a vibrant public events space. All of this to do and only four weeks till judging day.